Jenga Giant – Big Fun for the Entire Family! Another throwback from my childhood, Jenga Giant brings all the fun of Classic Jenga, just BIGGER! Jenga Giant stacks to over 3 feet high and includes 54 precision crafter polished Jenga Giant Hardwood blocks. The box doubles as storage and transport and the play platform. I could see this as being great for summer fun, birthdays, holiday celebrations, college parties, and really any type of fun gathering. My kids had a blast playing it after school several days in a row. The block are so large, they can also be used for just regular play. My daughter decided to use them to just stack and build things with,which was also fun. It is definitely a multi-functional game that has been enjoyed by our entire family – young and old! Retail price is $129.99 available online at JengaGiant.com and Amazon.com. 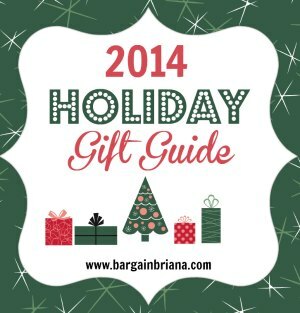 More awesome gift ideas on the Holiday Gift Guide. Products were provided in order to facilitate this post. Post was written 100% by me and was not edited by the sponsor. Read more on my Disclosure Policy. Next post: Darby Smart – DIY Gift Idea!